On a rainy day this past July, my wife, Meghan, and I dropped our older son, Julien (then 7), off at Birch Rock Camp for the very first time. Greeting us in front of the Lodge, Camp Director Mike Mattson was quick to point out that, despite overwhelming evidence to the contrary, “It never rains at Birch Rock.” I marveled as organized and engaging counselors had Julien and his trunk moved into his bunk, Hilton A, in minutes. Meghan and I met Julien’s counselor, Jack, chatted with other parents, and enjoyed a buffet lunch in the Lodge. Then we hugged our happy son, got back in the car, and drove home. Those are the objective facts of our drop-off day experience. In reality, the meaning of Julien starting as a camper at BRC runs far, far deeper. You see, our family has been associated with Birch Rock since 1989 when my older brother, CJ, started as a camper in Cabin 1 with none other than Mike Mattson as his counselor. That summer a relationship began between the Neshers and Birch Rock that has spanned 30 years and three generations. My father, Robert, was never a camper, but he was a member of the Board of Trustees in the 90’s. CJ and I have at one time or another been campers, counselors, and Trustees. We are also Family Campers along with our sister, Liz, and her family. 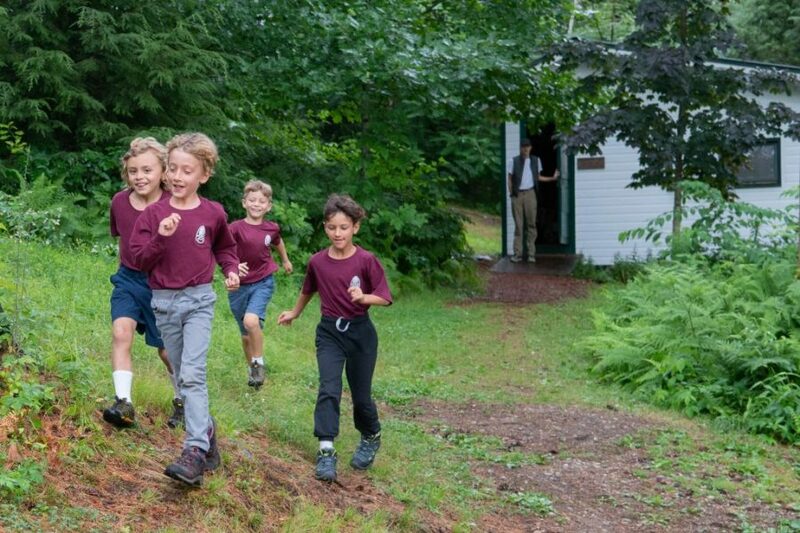 This coming season, Summer 2019, marks the first time that my siblings and I will simultaneously fill what is without a doubt our most meaningful camp-related role — that of BRC parents. Julien and his cousins will be campers together, to everyone’s delight. In fact, Julien has been a Birch Rocker since long before that day last July. Here is a video of him singing at two-and-a-half. Perhaps some will recognize the song. So after all the build-up, what did Julien starting as a camper mean to me? It means that my job as a parent has gotten substantially easier because of the practical skills and emotional tools that he gained, and will build upon, as a Birch Rocker. It also means that he had the opportunity to disconnect from digital devices in this increasingly connected world. I cannot overstate how comforting it was for Meghan and me to know that he was engaging with his surroundings, and other Birch Rockers, in ways that were completely outside the box for him, even though we live less than two hours from Lake McWain. Mostly, as us older Neshers have already done, it meant that he added a solid rock (wink) to his life’s foundation. I’ve already taken you through the bullet points of our drop-off day experience. But that is not the full story. As we drove up the hill on that rainy day last July, leaving our first-born behind, I felt numerous emotions. I felt a little sad knowing that we wouldn’t see Julien for two weeks. I felt a little nervous that he would get homesick. I felt excited that he would get to experience morning echoes and cross-camp capture-the-flag. But most of all, as we drove off past the Birch Rock sign, heading away from camp and from Julien, I felt completely at ease. He was finally home at Birch Rock.